Idealpos allows for the creation of Gift Vouchers that can be sold and redeemed at a later date which you can determine. Gift vouchers enable you to keep track of when they are purchased and their current value at any time. 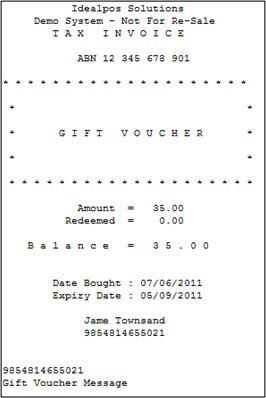 Vouchers are able to be re-printed in the event of loss or theft from the point of sale. Gift vouchers can be linked to your custom stationary, gift cards or Idealpos can print the voucher out of the receipt printer.